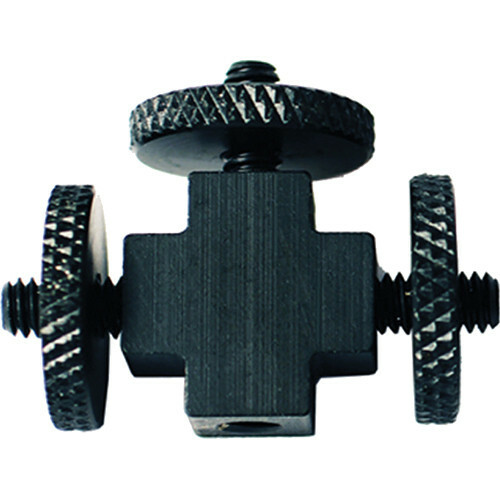 The Que Audio QAD4 Q T-bar Threaded Adapter features a 1/4"-20 female connection and 3x male 1/4"-20 connections with locking screws. The QAD4 allows for a number of accessory mounting possibilities in a "T" formation. Box Dimensions (LxWxH) 4.0 x 3.8 x 0.4"